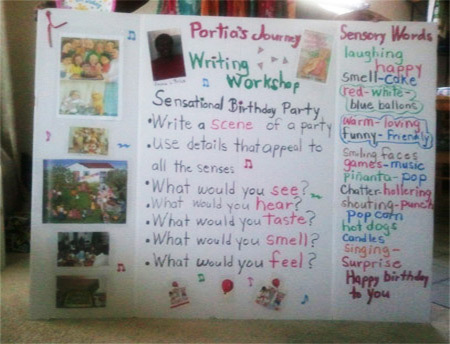 Looking for an exciting way to have your students actively engage in reading and writing? 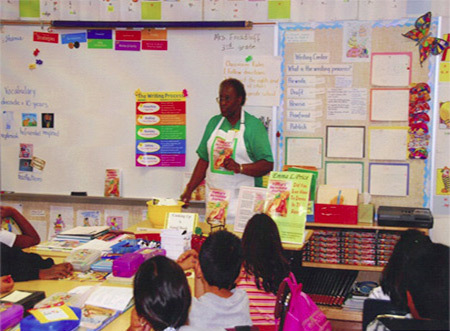 I visit schools (classrooms, libraries, and book clubs) in person or by Skype. I create interactive reading and writing activities, having the students use the writing process when writing the first draft of their stories. Grades K – 8 ( Approximately 40 minutes) Two or three classes assemble for author’s presentation: FAQ for author, sharing my books, different roads to publication, starting book clubs, author led discussion on how students can write their own books, careers in writing, major emphasis on reading and writing. Using graphics to motivate and encourage thinking is one of the ways I share techniques with students and teachers to have successful outcomes in writing. Pre-Order Forms can be provided for students, parents, and teachers to be completed prior to the assembly and returned on the day of the assembly. Author will set aside time to autograph each book. A portion of book sales will be returned to the PTO, school or sponsoring group. Please contact me for “Author’s Assembly Book Share” rate at your school. Please contact me if you have questions or would like more information. Copyright © 2019 ELP BOOKS.